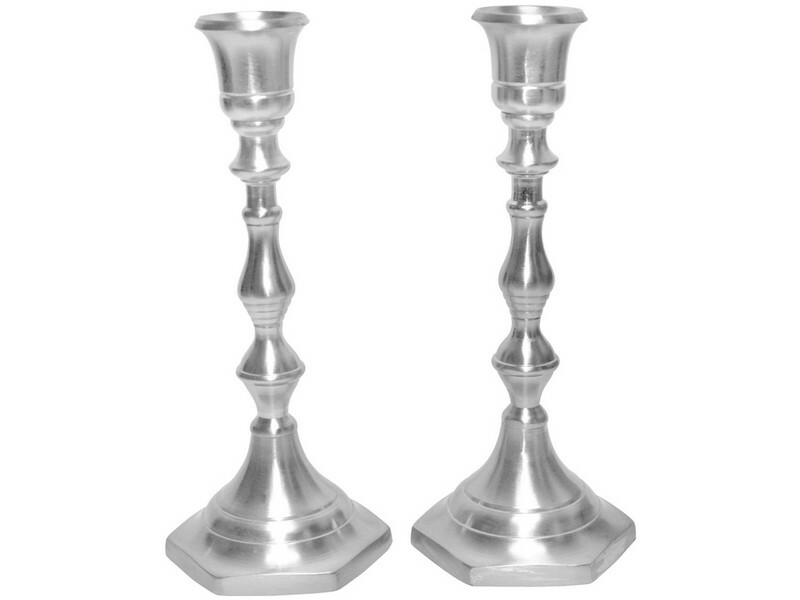 This set of two candlesticks will add beauty and glow to your Shabbat or Yom Tov table. These candlesticks are made of pewter and traditionally designed with a bit of a modernized edge. They can be used with standard sized candles or glass holders.